If you’re ready to rock your skin, love the planet and save your pocket-book, I think it’s about time you check out Moody Sisters Natural Skincare! The sisters were having some skin issues and couldn’t seem to get it right with today’s conventional treatments. After hundreds of dollars spent on doctor’s visits and harsh chemicals that failed to calm their skin woes, the sisters had had enough! They turned to nature for their remedy and were intent on creating products that not only come from a need in their own family — whether it be Blemish Serum for troublesome teen oily skin, Dry Skin Cream for flaky sensitive skin or organic Dry Shampoo for those days we never do make it to the shower, but also for everyone out there looking for natural products carefully handmade to rejuvenate and brighten skin the way nature intended. 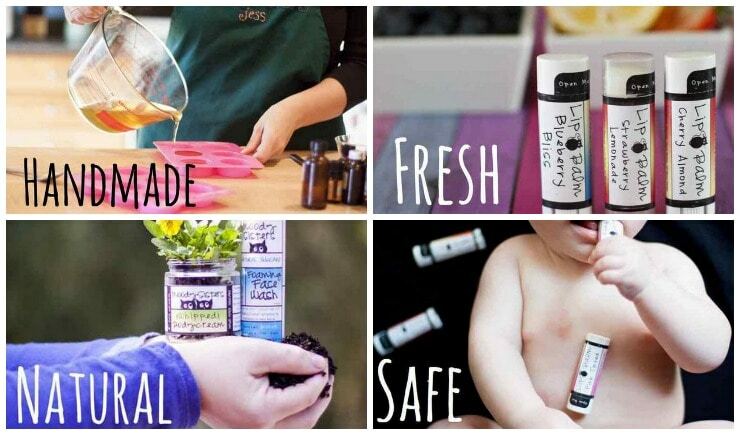 Moody Sisters Natural Skincare is handcrafted in small batches to make the freshest natural product, safe for the whole family. Real ingredients for real families made by real people. I just love companies like this, and stories like this. It’s so great to see, hear, and feel the results. There are a lot of no’s with the sisters…no chemicals, no fragrances, no dyes, no sulphates, or no parabens! You see, sometimes no is a good thing!! The Moody Sisters handcraft each natural skincare product in their own kitchen using only earth derived ingredients. So shop around and you’ll be sure to find a fun, unique natural remedy for any beauty need you have! I love that it is handcrafted in small batches. I would buy the Goat’s Milk and Oak Cleanser. I like that it is non-toxic and they offer chemical free skin and body care products for the whole family, so everyone can enjoy it. I would use it to buy Coffee Decadence Gift Set and eye makeup remover. I like that Moody Sisters is natural and handmade, a small hands-on business. Not sure what I’d spend the money on yet.